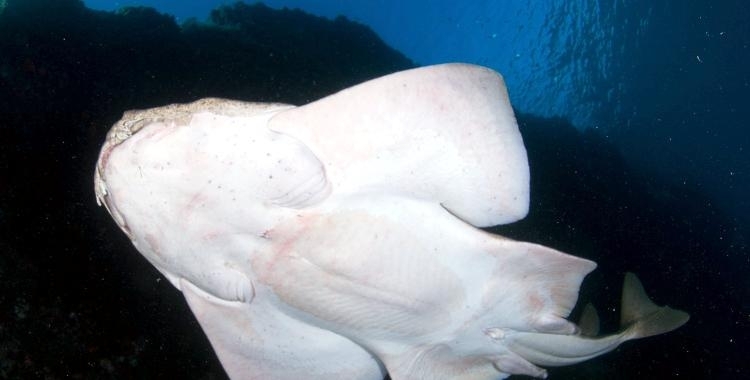 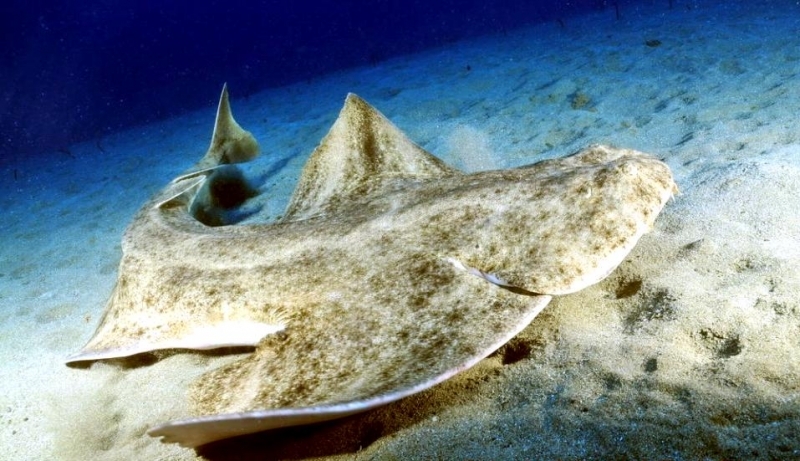 The Angel Shark is a magnificent marine creature, with a flattened body and broad pectoral fins. 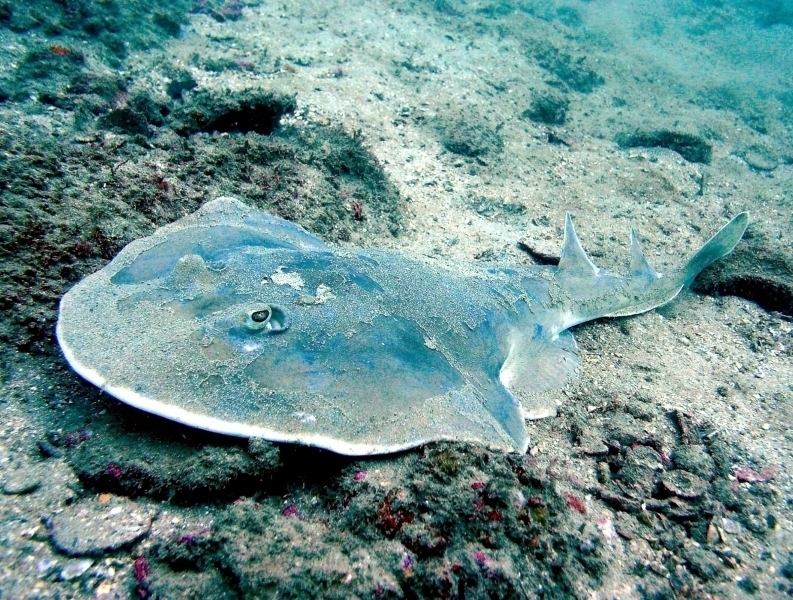 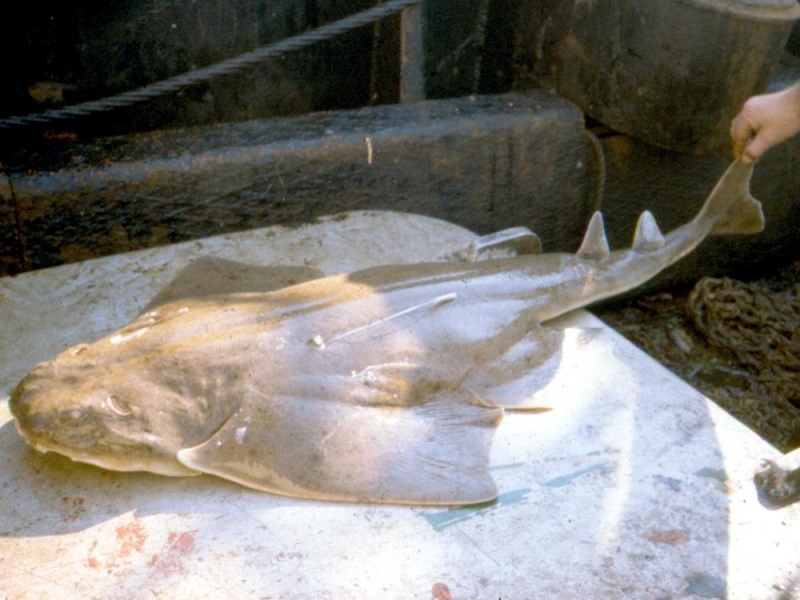 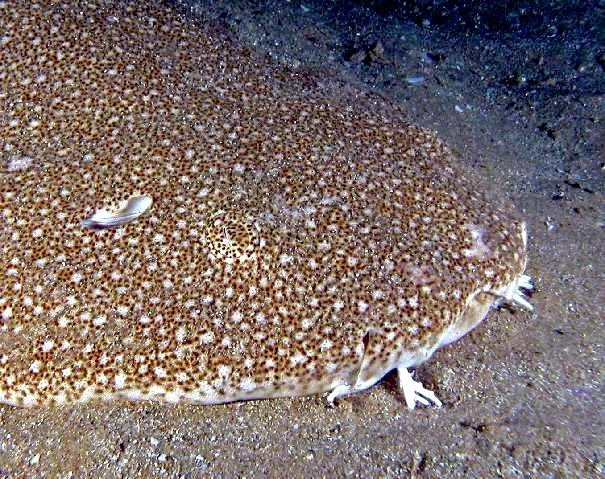 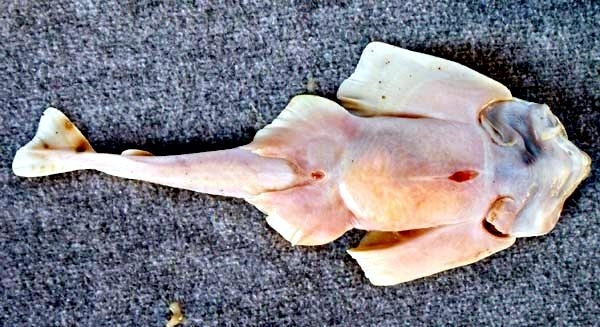 This ovoviviparous member of the ‘Squatinidae’ family bears a close resemblance to rays and skates. 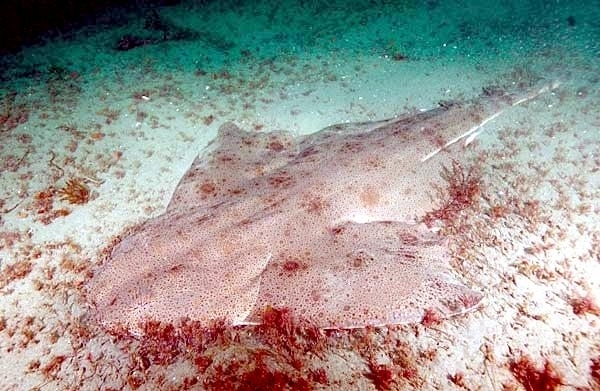 The Angel Shark inhabits the warm tropical and temperate seas, feeding on an array of fish & crustaceans. 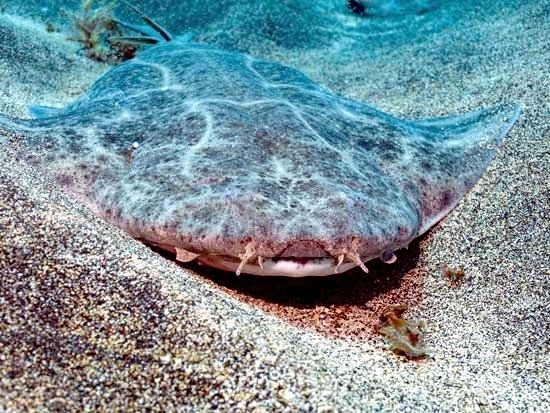 Angel Sharks have inhabited our oceans for millions of years. 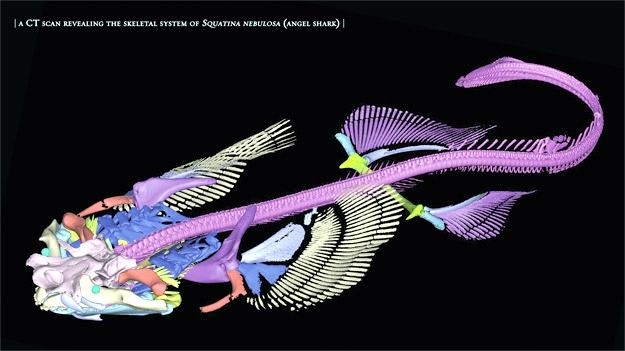 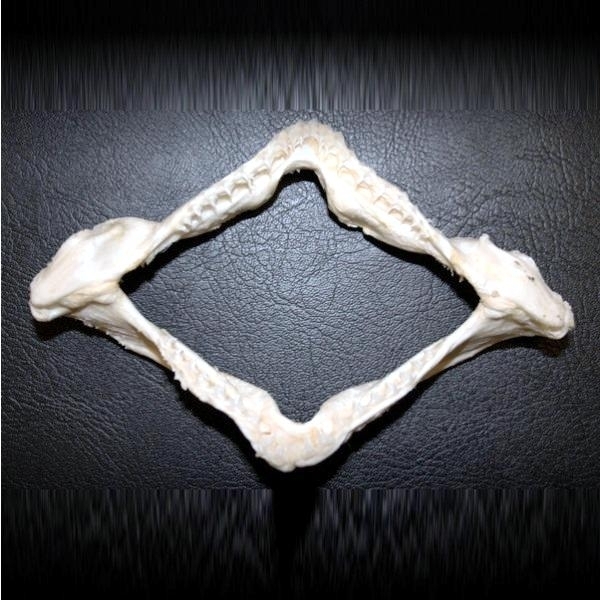 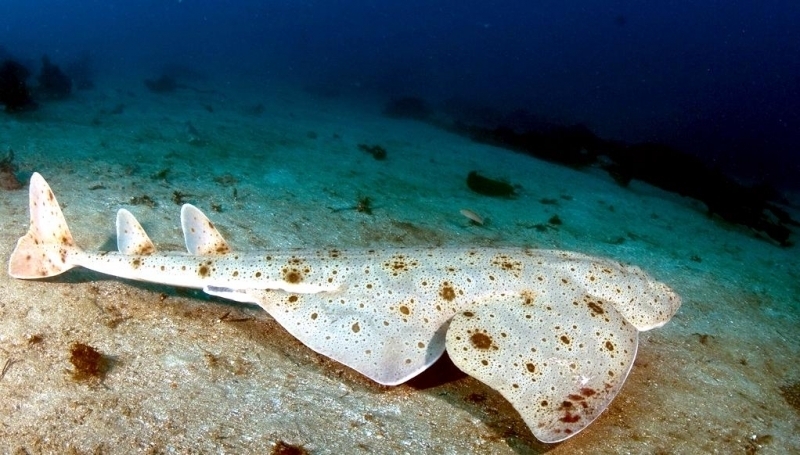 Today, the genus exhibits an improved anatomy which is the product of over 400 million years of evolution of which there are 15 different Angel Shark species currently known. 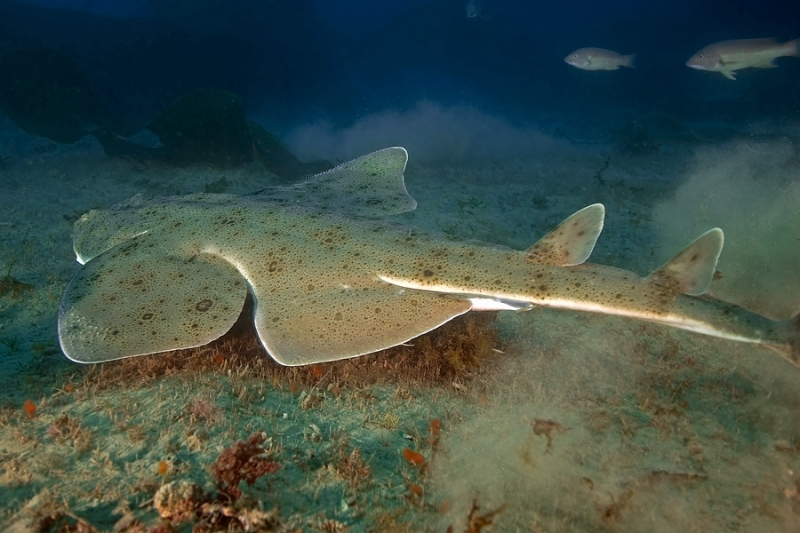 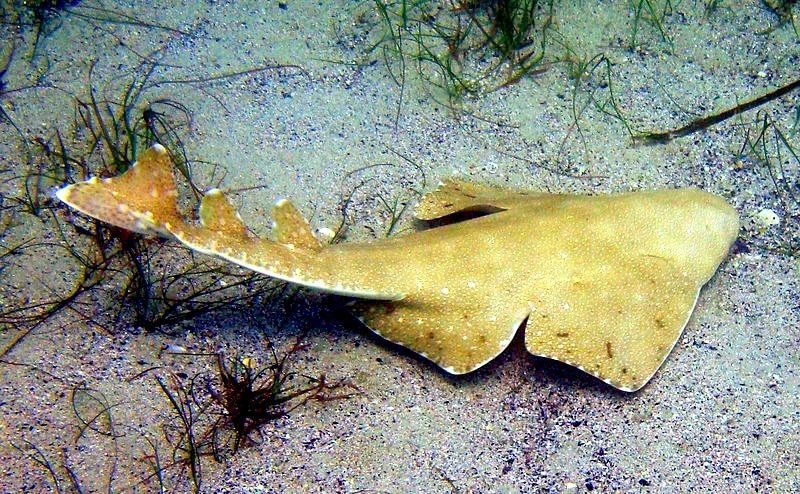 The Angel Shark has large, horizontal pectoral and pelvic fins, generally used for balancing and braking. 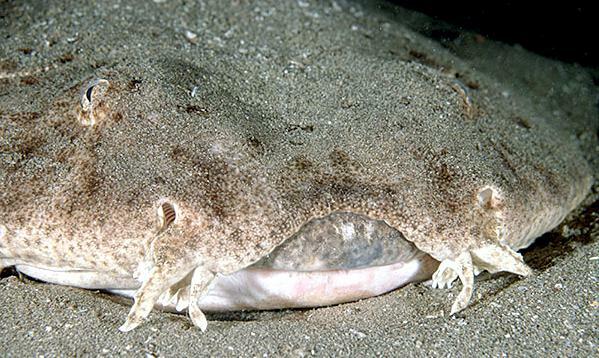 It has 2 dorsal fins and unlike others in the genus, the Angel Shark has a longer caudal fin lower lobe. 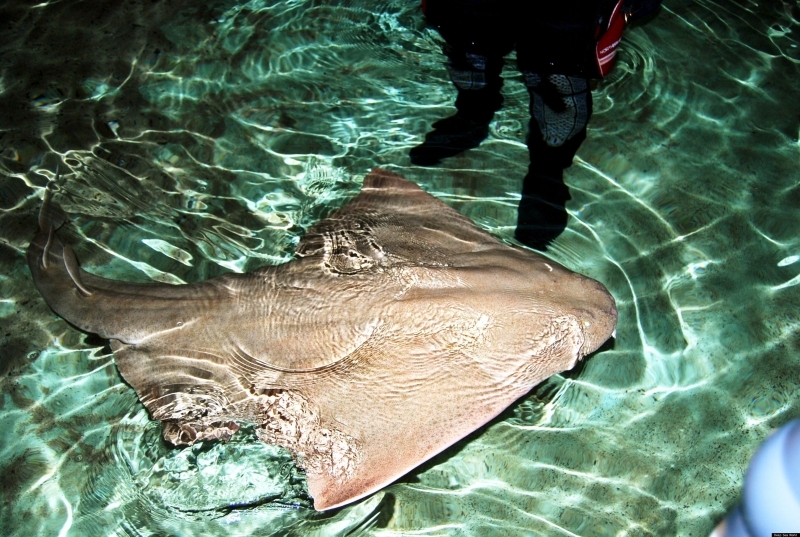 Under ideal conditions, the genus grows to a length of 8 feet, weighing around 35 kilograms. 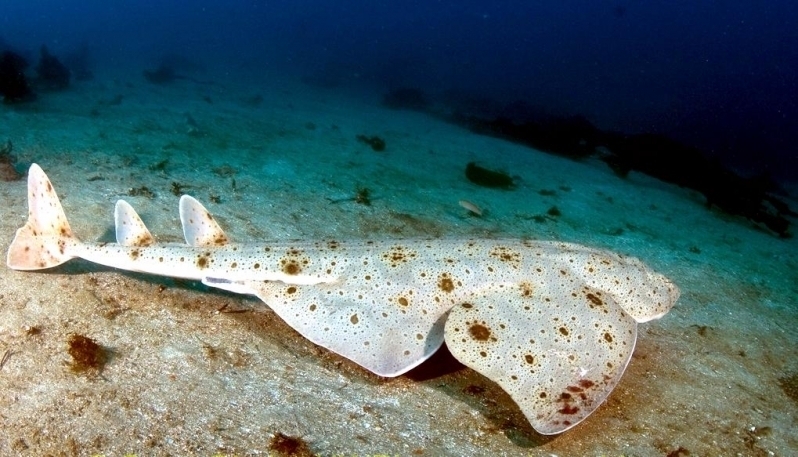 The skin color varies from gray to reddish-brown or greenish-brown with scattered spots. 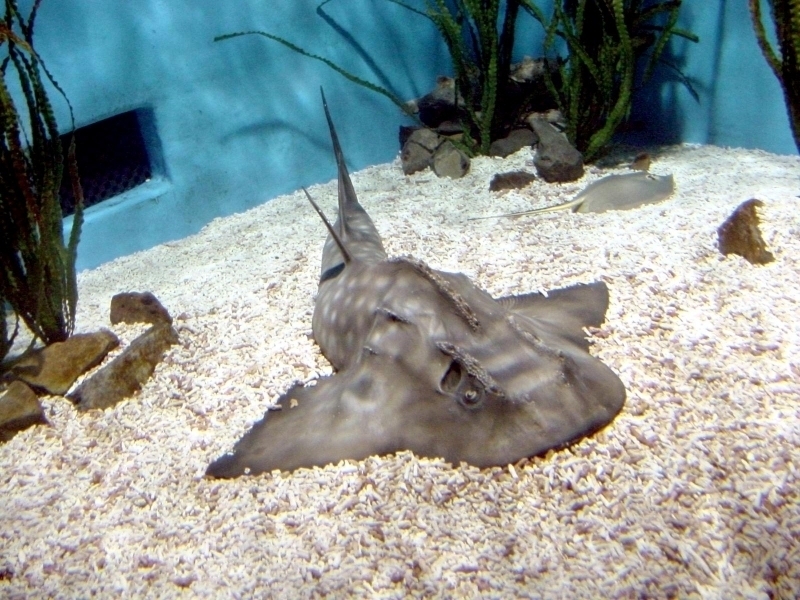 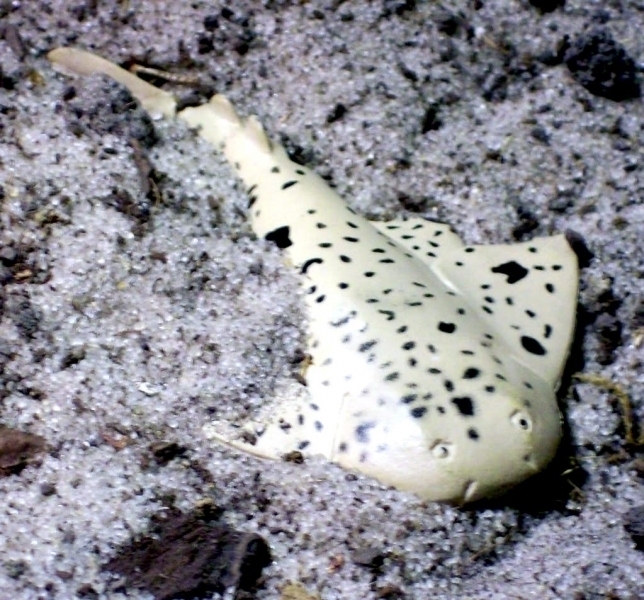 The young ones exhibit net-like markings with dark blotches. 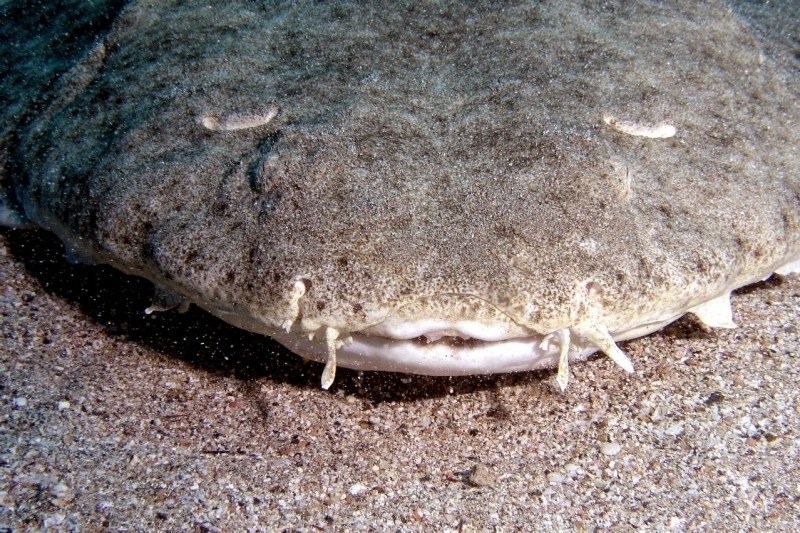 The Angel Shark has whisker-like projections or nasal barbels near the nostrils. 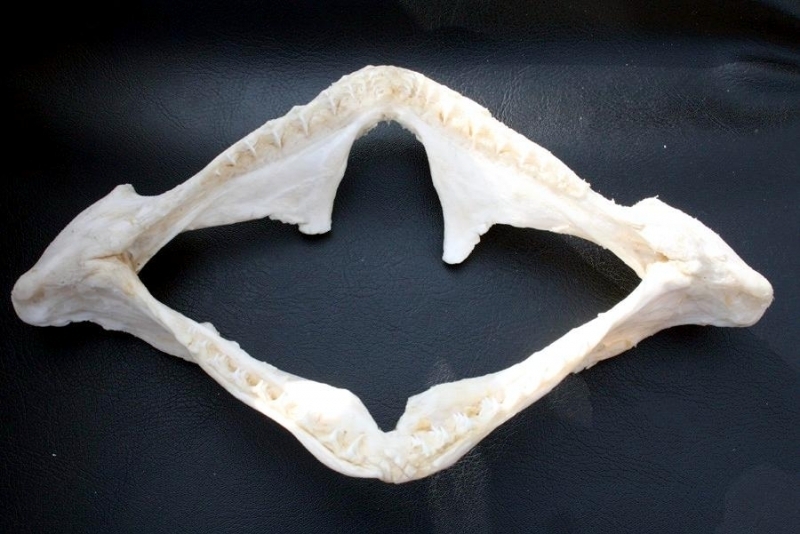 These projections help the shark to taste & feel. 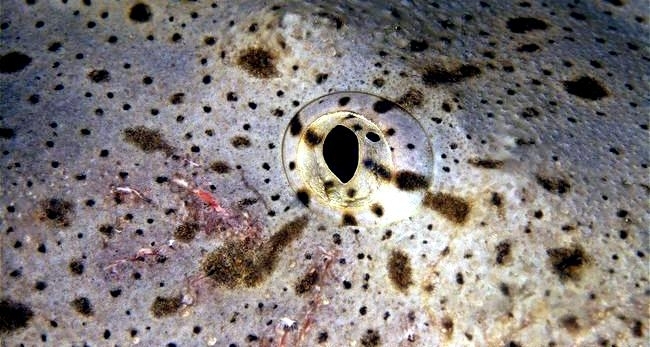 Its large eyes have vertically slit pupils that offer the predator an all-round vision for an almost perfect ambush every time. 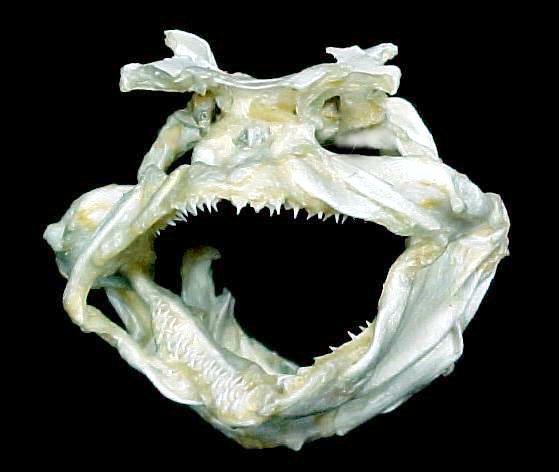 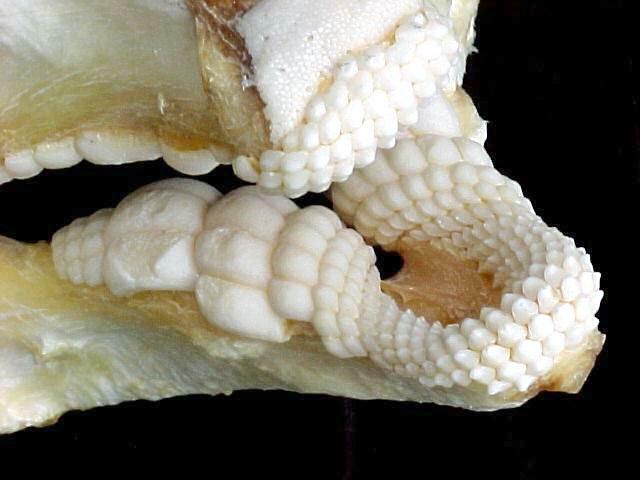 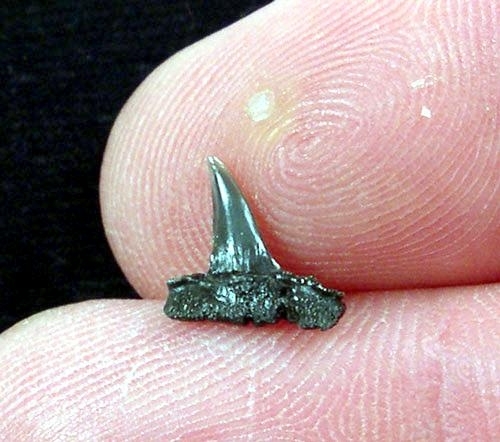 Its extensible jaws are lined with long, needle-like teeth that snap rapidly in the upward direction. 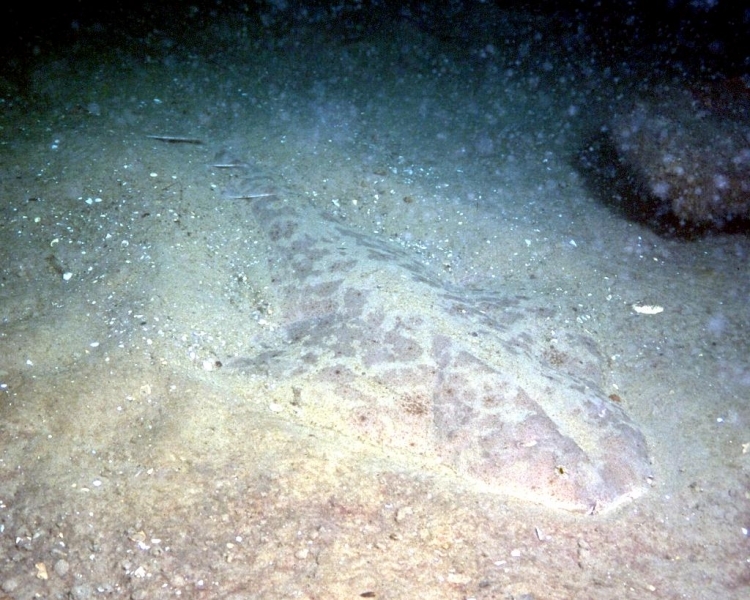 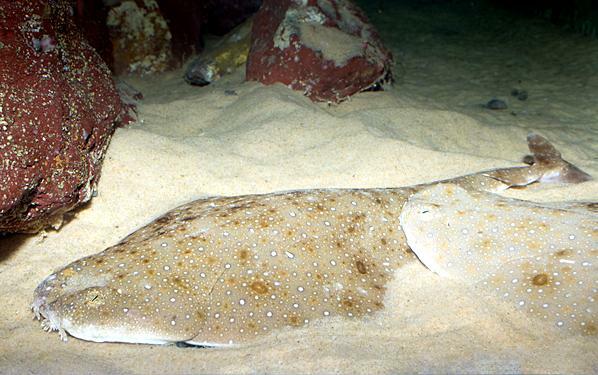 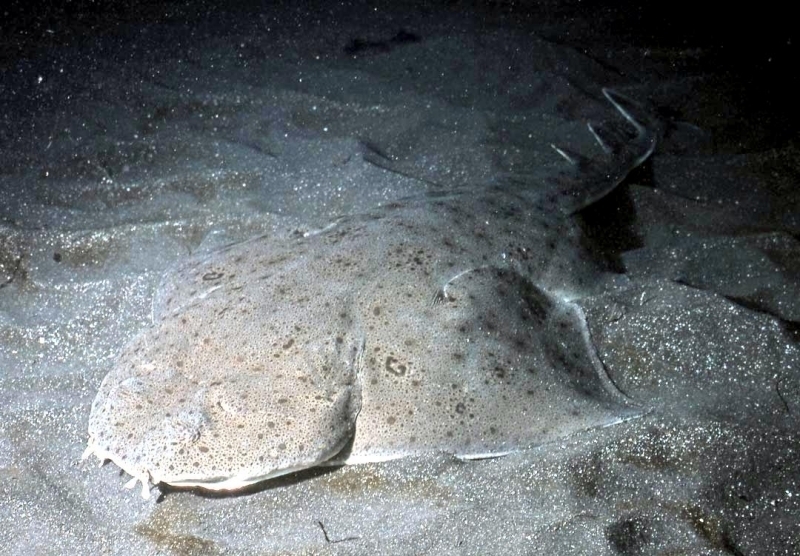 The Angel shark is nocturnal. 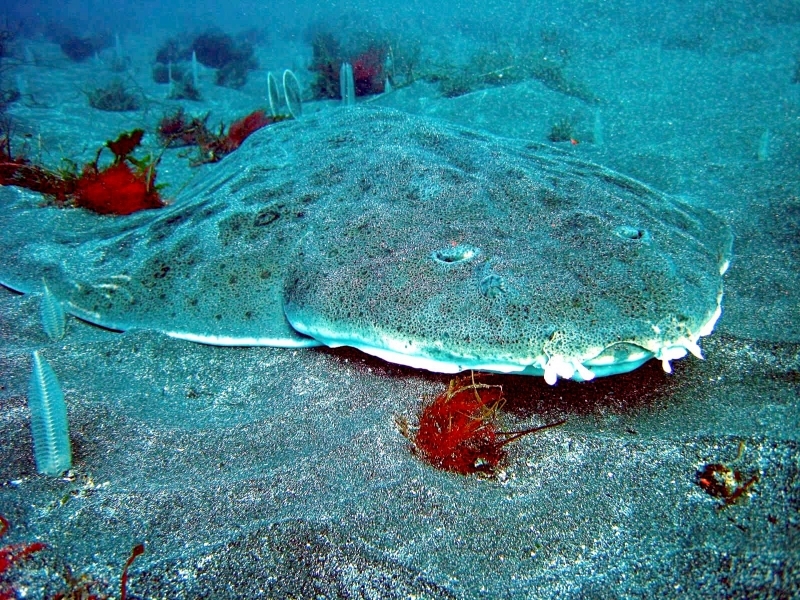 It spends most of the day buried in the sea-bed, with only its eyes protruding. 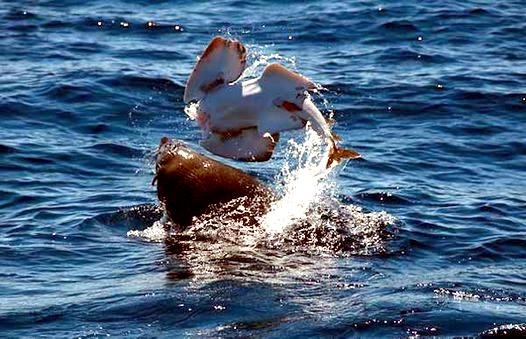 It manipulates a position that allows it to dart forward at a startling speed to devour prey. 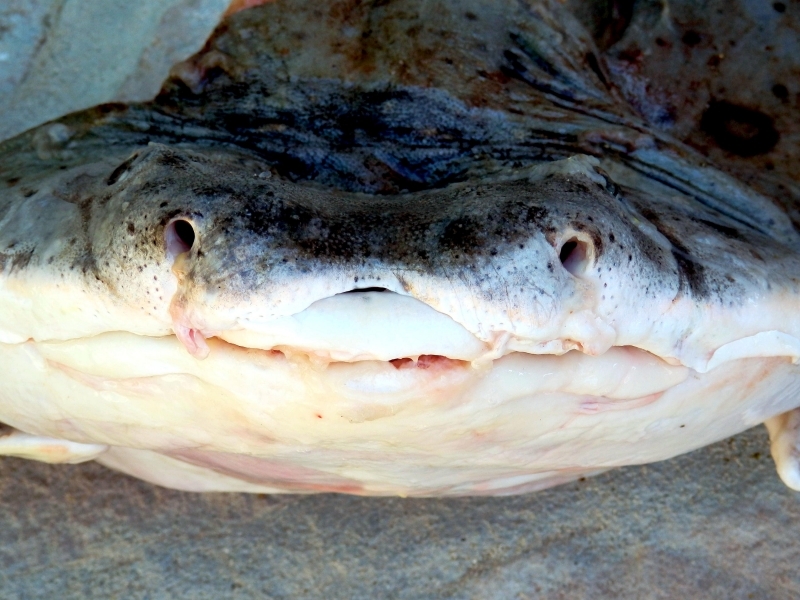 These amazingly beautiful creatures feast of passing fish, croakers, flounder, mollusks, squid and crustaceans. 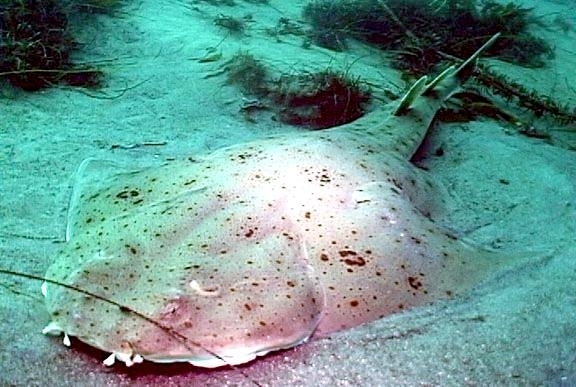 The Angel Shark is ovoviviparous. 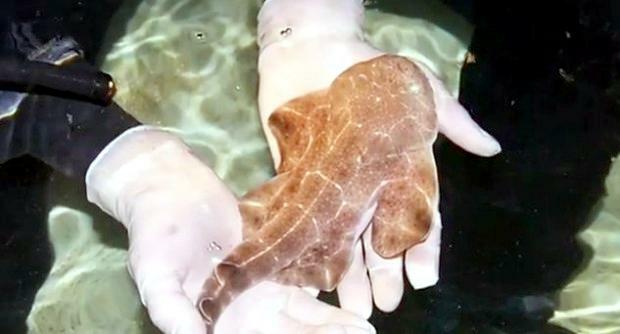 The litters rarely exceed 10-12 pups at a time. 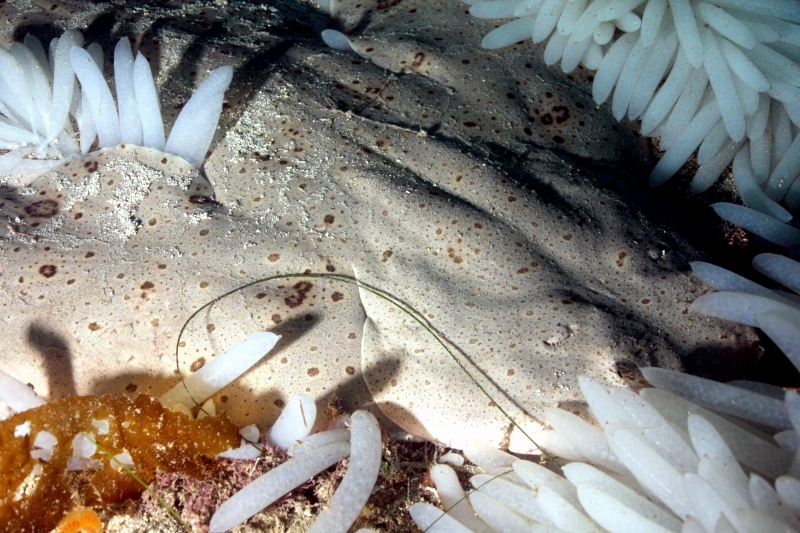 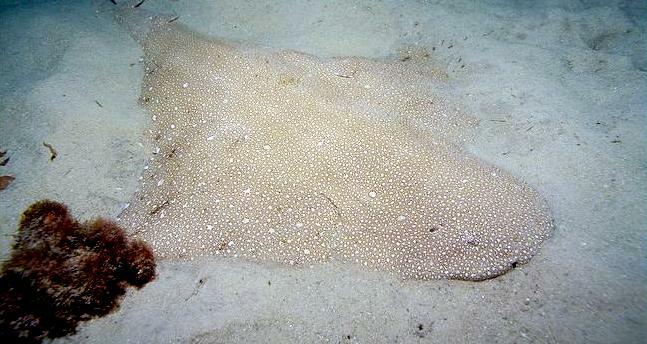 The female Angel Shark retains the eggs inside the body, till they are ready to hatch. 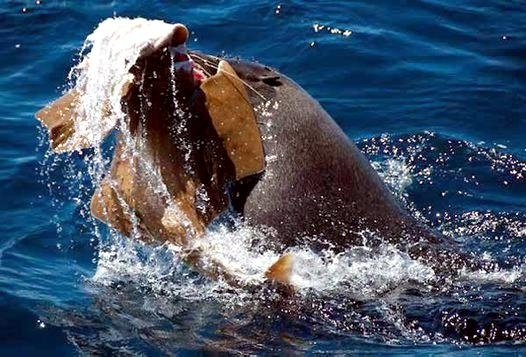 After a gestation period of around 10 months, the female gives birth to pups not more than 30 centimeters in length. 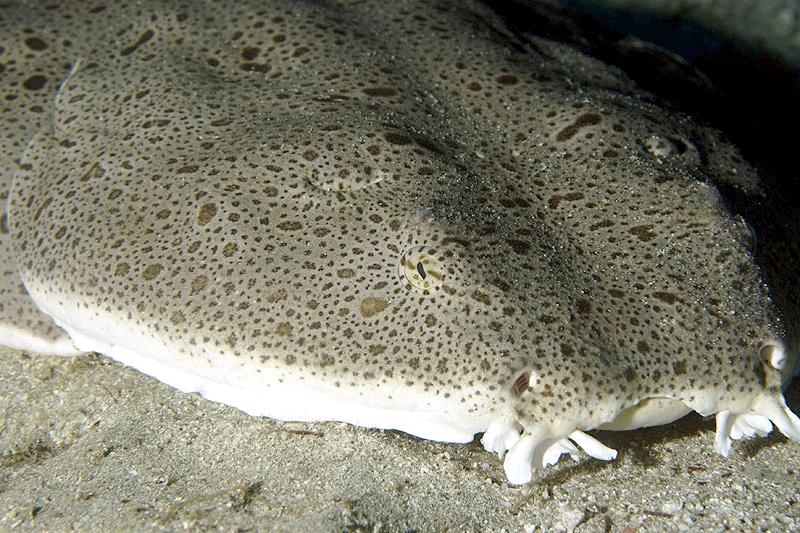 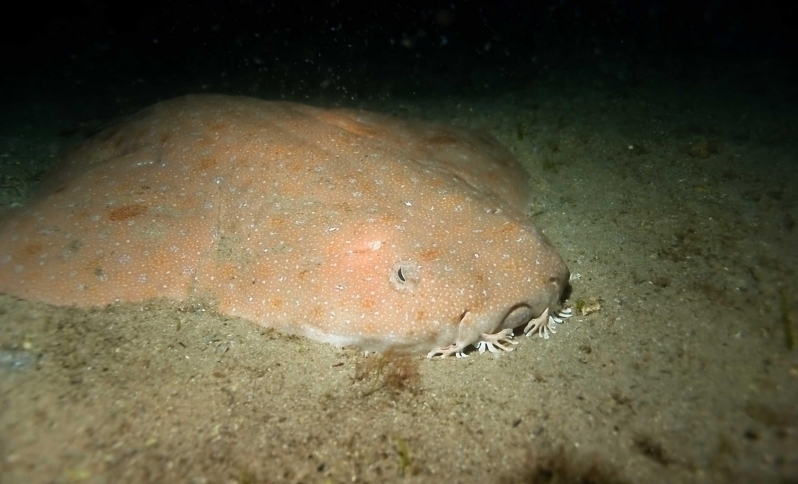 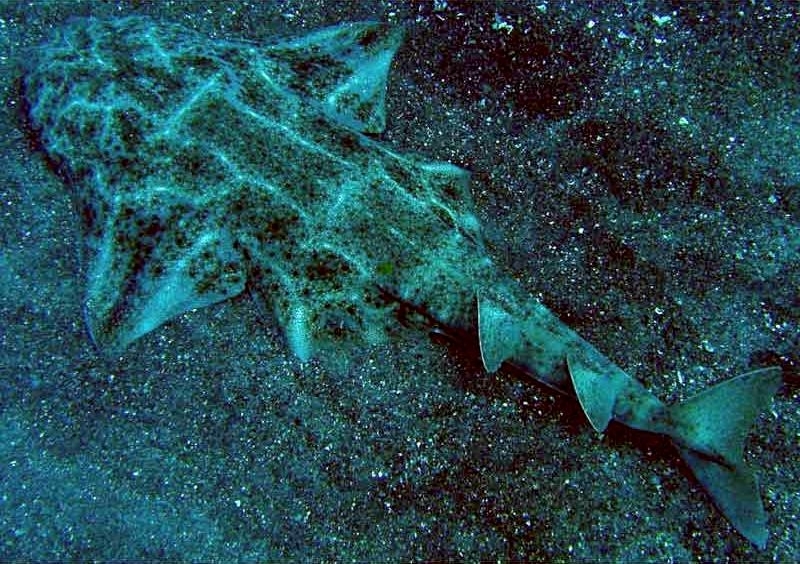 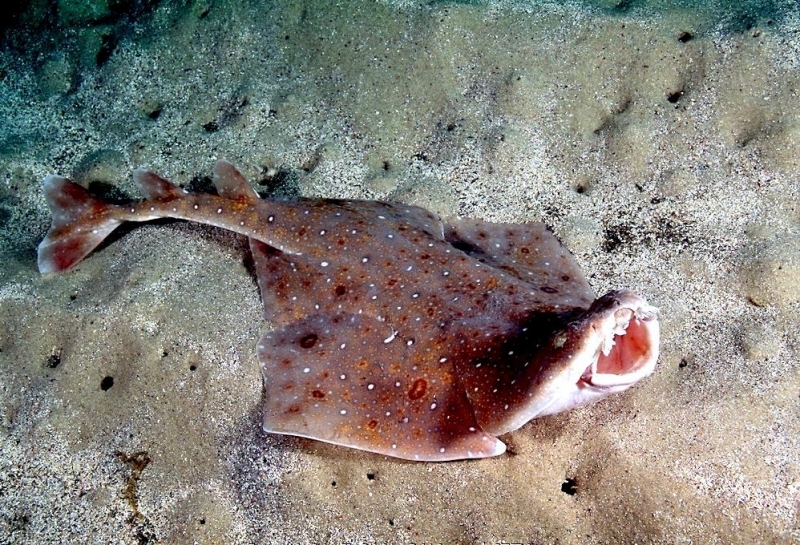 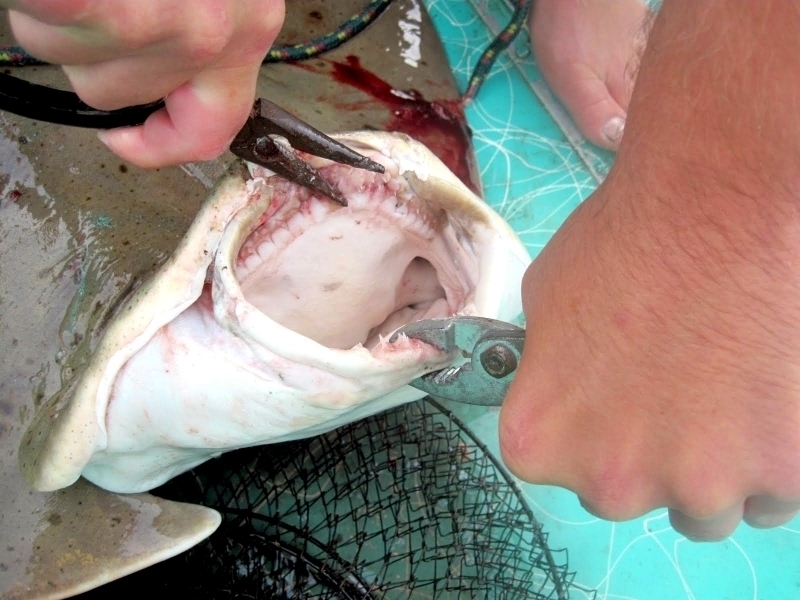 The genus is not normally aggressive but if interfered with, the Angel Shark does snap & bite. 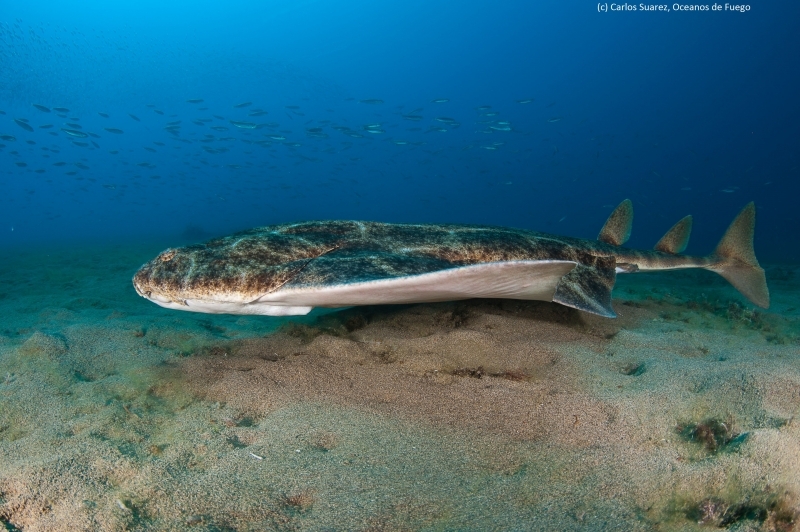 The shark normally inhabits the sandy sea-bed but it is also sighted offshore in the bays along Norway, Mauritania, the Canary Islands, Mediterranean Sea, Black Sea, Alaska, Gulf of California and Costa Rica. 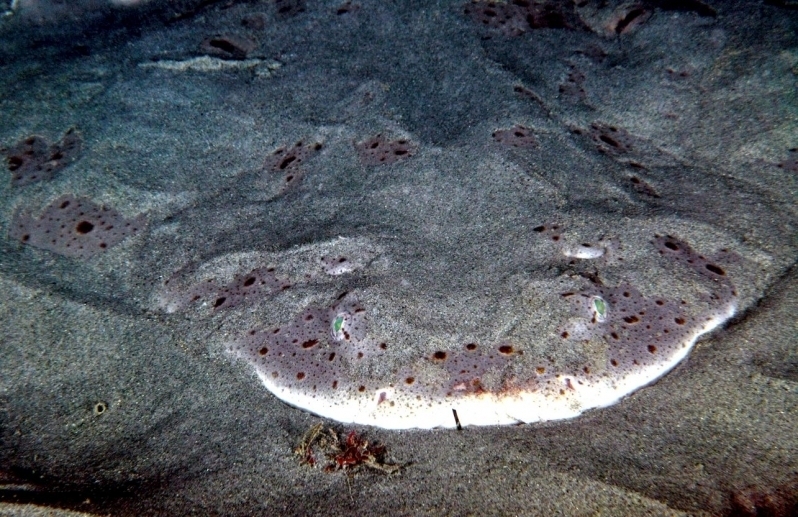 It is regularly seen along kelp forest fringes. 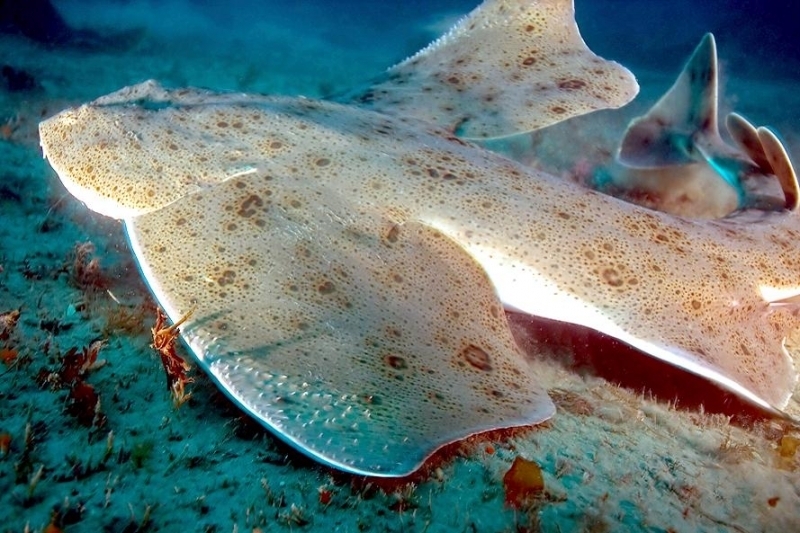 Its flat body, olive colored blotches and flat pectoral fins provide the Angel Shark with a perfect camouflage on the ocean & sea beds. 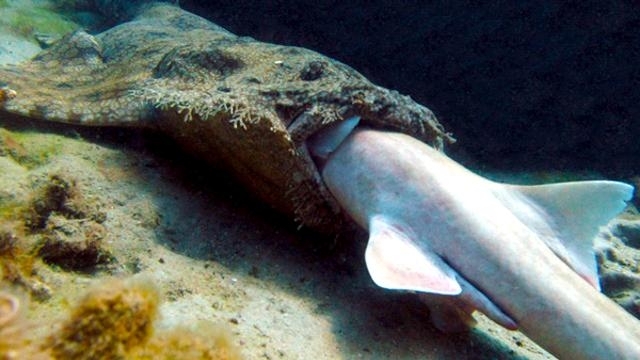 * This type of shark exhibits a social behavior that is pretty conservative in contrast to its inherent predatory nature. 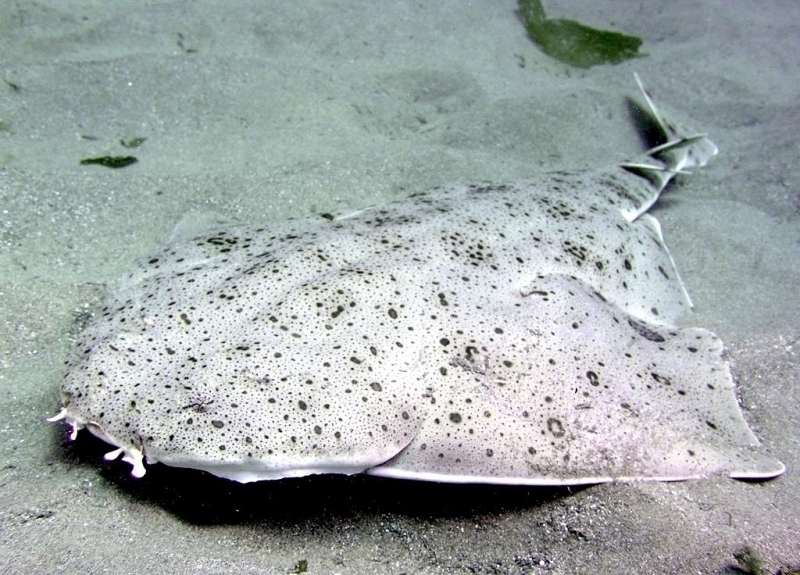 It is docile on contact and prefers to eat alone. 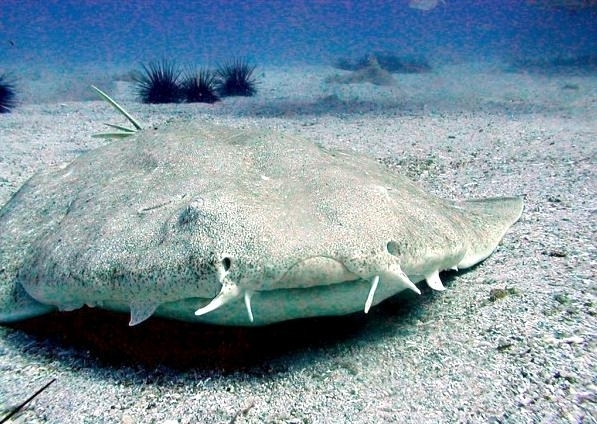 * Angel Sharks don’t resemble other sharks. 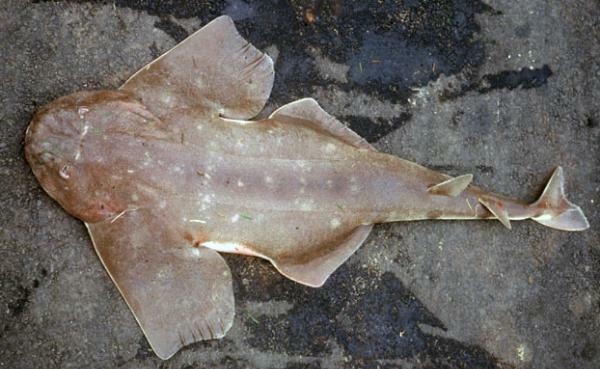 They look more like skates or rays, with their pectoral fins spread out on either side like angel wings. 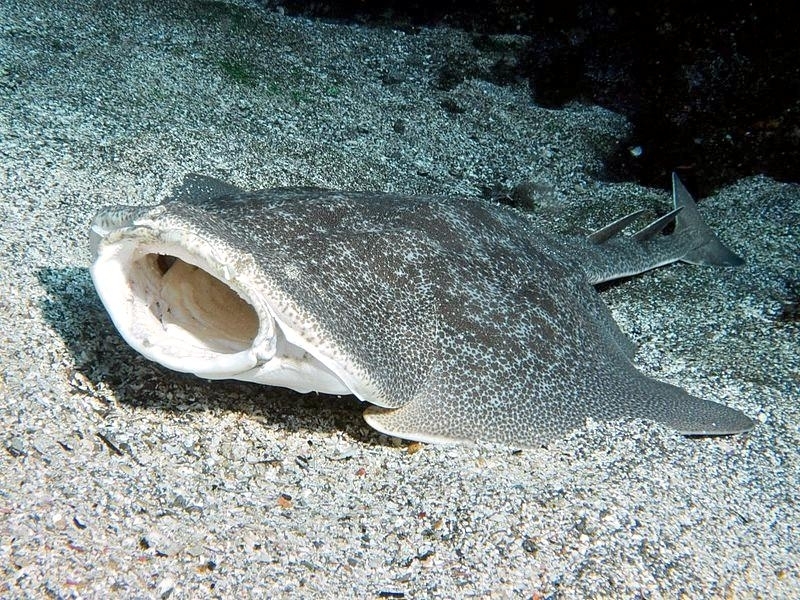 Their physical anatomy is the same as a shark, but somehow managed to get flattened somewhere down the evolutionary line. 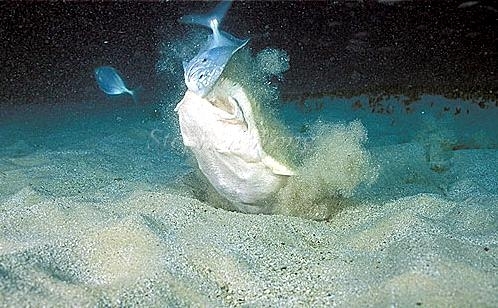 * Angel Sharks have incredibly sharp teeth and are not afraid to use them on unsuspecting victims who lure near their vicinity, hence the ironic name of “Sand Devil”. 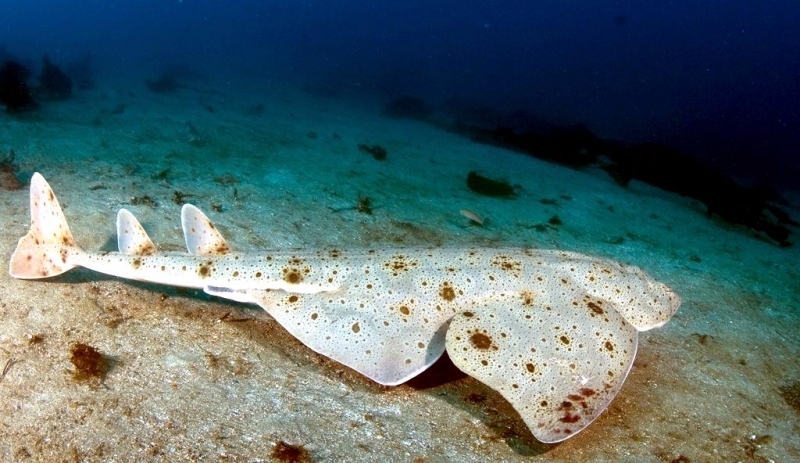 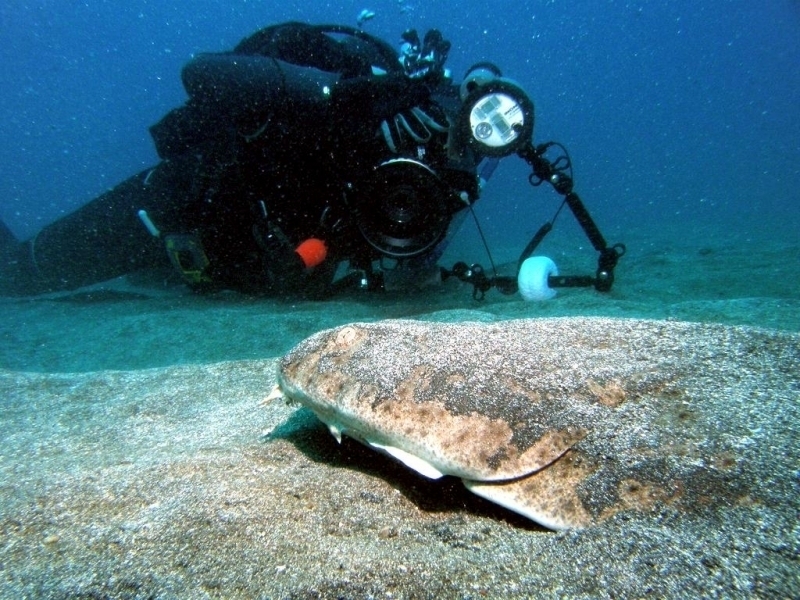 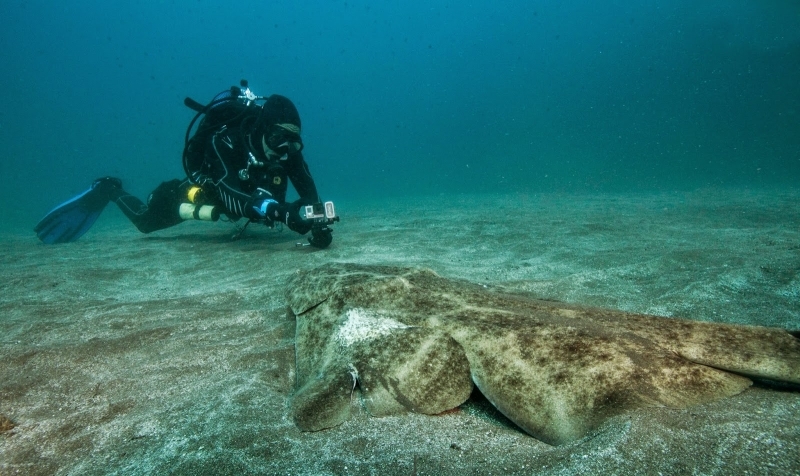 If a diver exposes it completely by fanning the sand away from an Angel Shark‘s back, it is still reluctant to move. 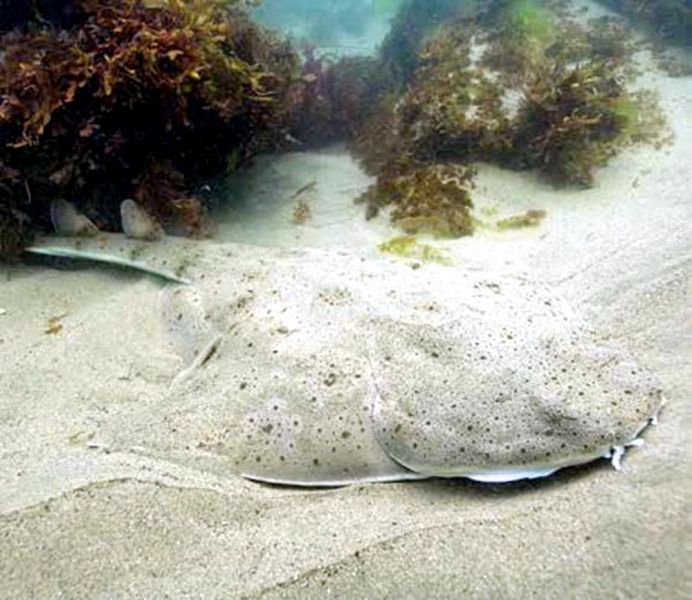 An Angel Shark is known to lie in wait for over a week until the right food passes by. 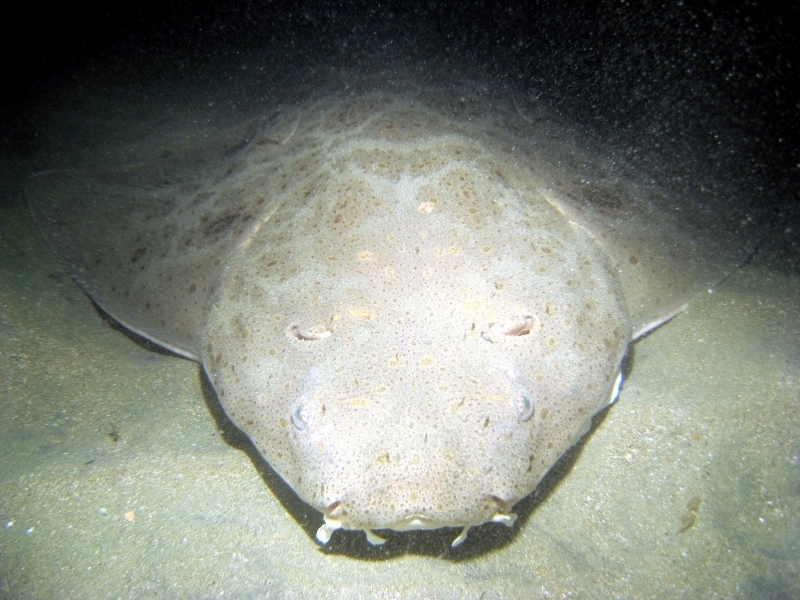 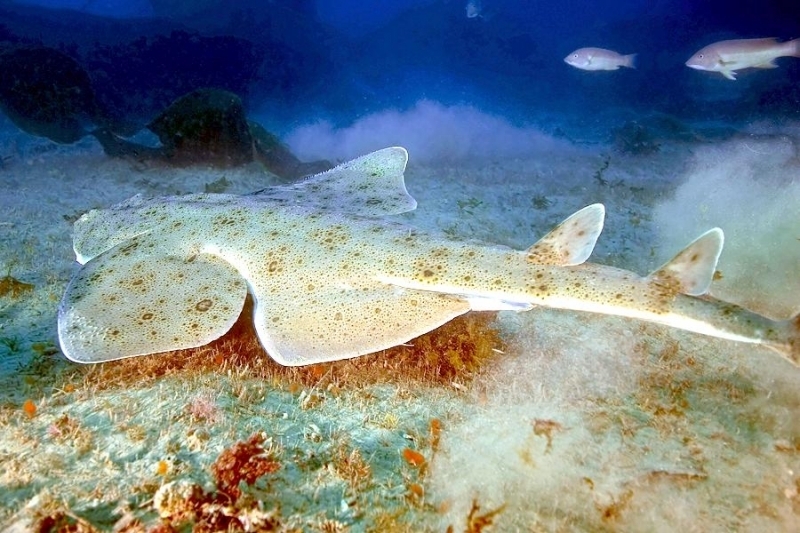 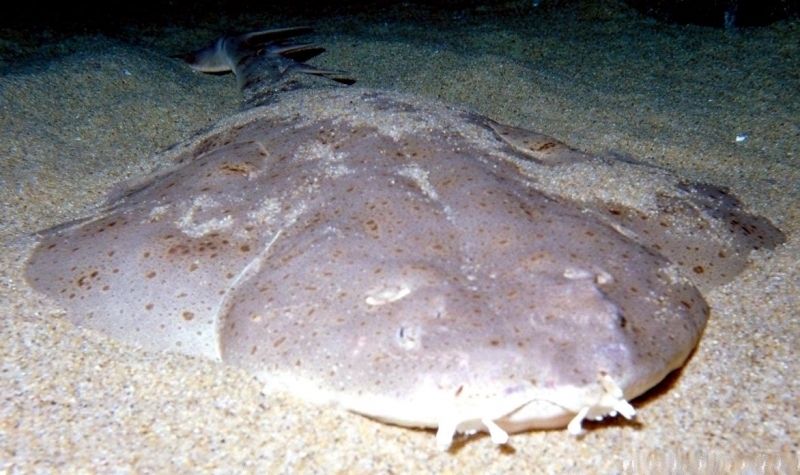 * The Angel Shark is migratory and is observed to prefer the northern waters during the summer months. 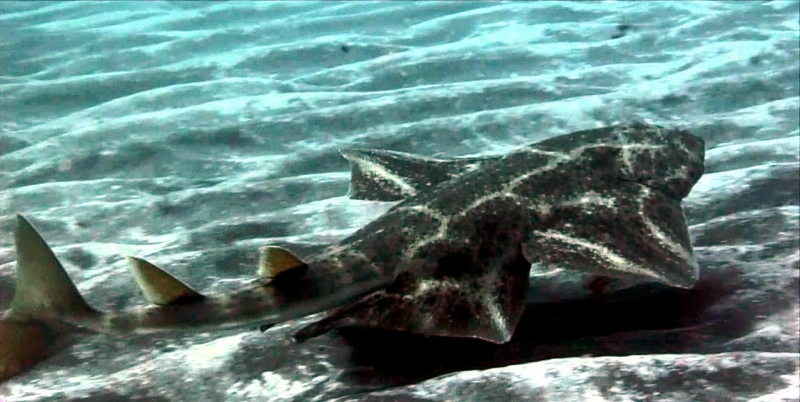 Larger sharks like the Great White, Tiger & Oceanic White-tip will prey upon the Angel Shark.